U.S. Navy Rear Admiral Fred Byus, at podium, speaks during a ceremony at the USS Razorback Submarine, to kick off Navy Week, Monday, May 21, 2007 in North Little Rock, Ark. Navy week will run May 21 through May 28 with events that includes Navy speakers, Navy concerts and F/A-18 Hornet flight simulator rides at Dickey-Stephens Baseball Park and at Riverfest 2007. A German Navy Ship patrols the Baltic Sea coastline behind the massive security fence build around the Heiligendamm, Germany, G-8 summit site Saturday, June 2, 2007. The G8 summit will take place there from Wednesday, June 6, 2007 to Friday, June 8, 2007. Special Police Forces patrol along the Baltic Sea coast near the Heiligendamm, Germany, G-8 summit site, Saturday, June 2, 2007. The G8 summit will take place there from Wednesday, June 6, to Friday, June 8, 2007. German police boats, right and center, chase Greenpeace activists in an inflatable boat, left, inside the security zone offshore the G-8 summit at Heiligendamm, northern Germany on Thursday, June 7, 2007, in this photo provided by Greenpeace. A German police boat, top, runs over Greenpeace activists wearing yellow life vests, in an inflatable boat, left, offshore the G-8 summit at Heiligendamm, northern Germany on Thursday, June 7, 2007, in this photo made from television. 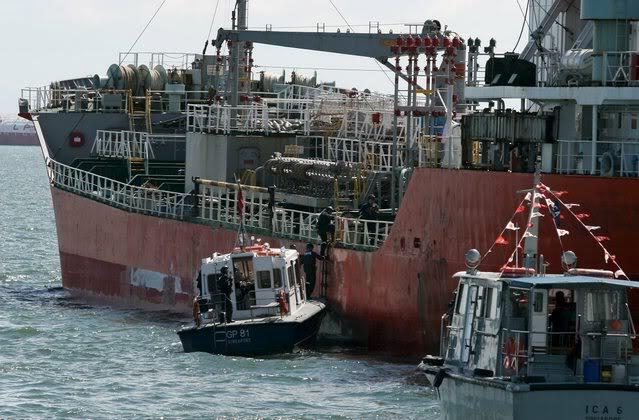 A German police boat, sits on top of a sinking inflatable boat with Greenpeace activists in yellow life vests, left, offshore the G-8 summit at Heiligendamm, northern Germany on Thursday, June 7, 2007, in this photo made from television. 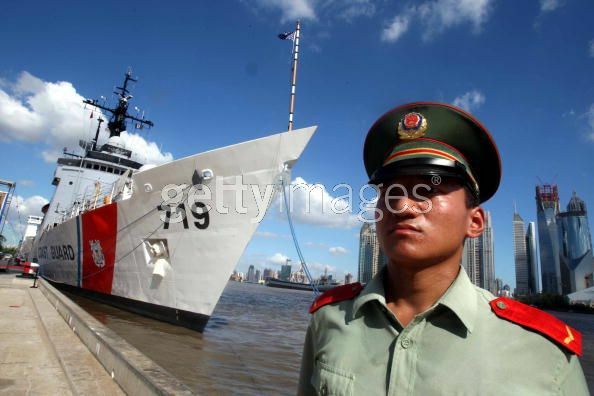 Greenpeace said the boat chase underlined the group's demand for the summit to set clear goals for the emissions of greenhouse gases without the United States, which opposes mandatory cuts. The coast guard boat 'Tursas' of the Finnish Border Police and a helicopter of the German Federal Police (Bundespolizei) patrol the waters off the Baltic Sea harbor town of Rostock, northern Germany, on Thursday, June 28, 2007. International border police forces are holding an exercise aimed at improving cooperation in the international fight against illegal immigration. 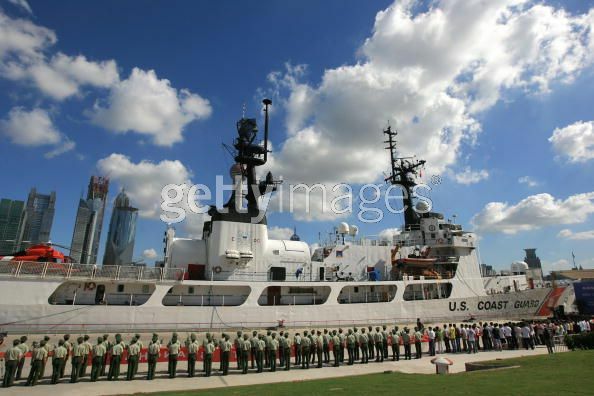 A coast guard patrol boat of the German Federal Police (Bundespolizei) steams through the sea off the Baltic Sea harbor of Rostock, northern Gemany, on Thursday, June 28, 2007. A helicopter of the German Federal police (Bundespolizei) hovers above a cargo vessel sailing off the coast of the Baltic Sea harbor town of Rostock, northern Germany, after dropping border police police officers for a search operation on Thursday, June 28, 2007. International police forces are holding an exercise aimed at improving cooperation in the international fight against illegal immigration. German Federal police (Bundespolizei) officers and international police forces train the collaboration for combat against illegal immigration offshore the Baltic Sea harbor town of Rostock, northern Germany on Thursday, June 28, 2007. International police forces are holding an exercise aimed at improving cooperation in the international fight against illegal immigration. 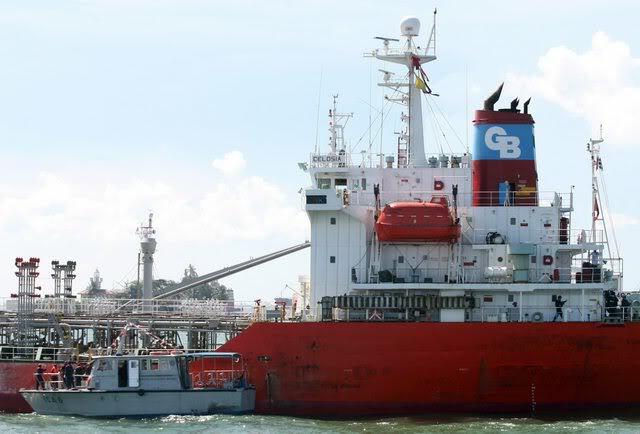 Two men view the bulk carrier Pasha Bulker as it sits stranded on a sandbar on Nobbys Beach at Newcastle, Australia, Thursday, June 28, 2007. Salvage crews will attempt to free the ship Thursday after it ran aground during a severe storm June 8. The ship has around 700 tonnes of fuel and 100 tonnes of other chemicals on board, which have prompted worries over a possible hull breach. A helicopter prepares to land on the bulk carrier Pasha Bulker as it sits stranded on a sandbar on Nobbys Beach at Newcastle, Australia, Thursday, June 28, 2007. Salvage crews will attempt to free the ship Thursday after it ran aground during a severe storm June 8. The ship has around 700 tonnes of fuel and 100 tonnes of other chemicals on board, which have prompted worries over a possible hull breach. pourquoi la coque se briserait elle? de toute façon, les cargos ne sont ils pas obligatoirement à double coque en plus des la paroi des réservoirs? Bah, c'est souvent ce qui arrive aux navires échoués, qui sont abandonnés et laissés seuls au bon vouloir de la mer ! Pour les doubles-coques je sais pas trop mais je crois que c'est obligatoire maintenant ? ce n'est qu'une supposition mais j'imagines que les contraintes sur la coque sont bien plus fortes lorsque le navire est immobilisé, qu'elle endure alors les contraintes, que lorsqu'il suit le mouvement de l'eau. Un cargo échoué, est ce impossible à dégager? les marins de l'USS Kitty Hawk ont reçu la consigne de ne pas sortir en tenue militaire pour prévennir tout incident. chouette photos Olivier, deux de mes navires préferés! An Italian helicopter loads water Wednesday, July 25, 2007, a day after a fire broke out in Viestei, in the Gargano peninsula of the southern region of Puglia, a spur of land above the heel of the Italian boot, killing at least two people. Dozens of fires continued to break out in central and southern Italy on Wednesday. A NATO P3 Orion reconnaissance plane flies over the Russian research vessel Akademik Fyodorov in the Barents Sea Friday, July 27, 2007 in this image made from television. Akademik Fyodorov is part of the Russian mission intended to stake Moscow's claims to Arctic sea bed . A Russian miniature submarine is lowered into water from the research vessel Akademik Fyodorov to perform test dives somewhere in the undisclosed location in the Arctic Ocean in this image made from television broadcast Sunday, July 29, 2007. Russian scientists hope to plunge to the seabed beneath the North Pole in the next few days in a miniature sub and plant a titanium capsule containing the Russian flag, symbolically claiming much of the Arctic Ocean floor for Moscow. 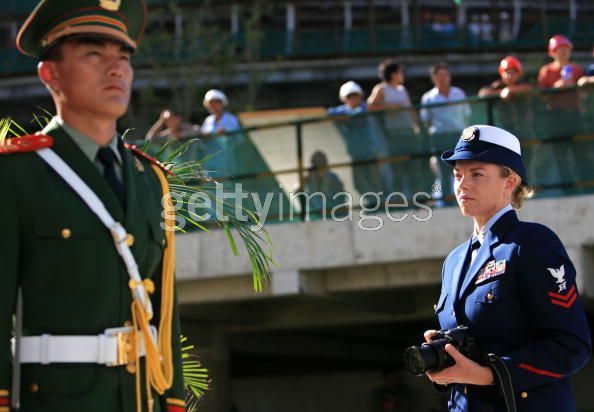 SHANGHAI, CHINA - AUGUST 16: (CHINA OUT) Chinese soldiers attend a welcoming ceremony for the California-based Coast Guard cutter Boutwell, at the Gaoyang Lu Wharf on August 16, 2007 in Shanghai, China. 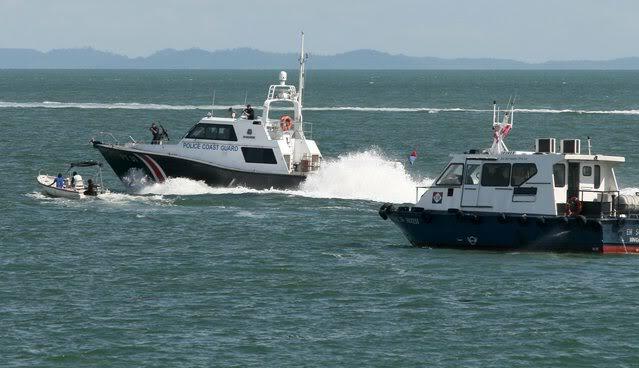 The Police Coast Guard arrests a hostile boat that was threatening to board a harbour craft in a demonstration of the Harbour Craft Transponder System (HARTS) during Exercise APEX, a multi-agency maritime security exercise in Singapore on 23 August 2007. This scenario is to demonstrate the activation of the HARTS and the response by the Police Coast Guard in rendering assistance to the distressed vessel out at sea .